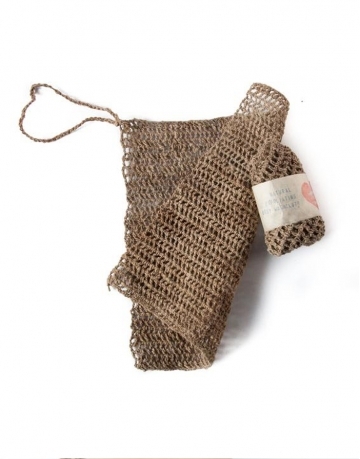 Eco friendly, handmade In the Nepal Himalaya using hand-harvested wild Himalayan Nettle and wild hemp. 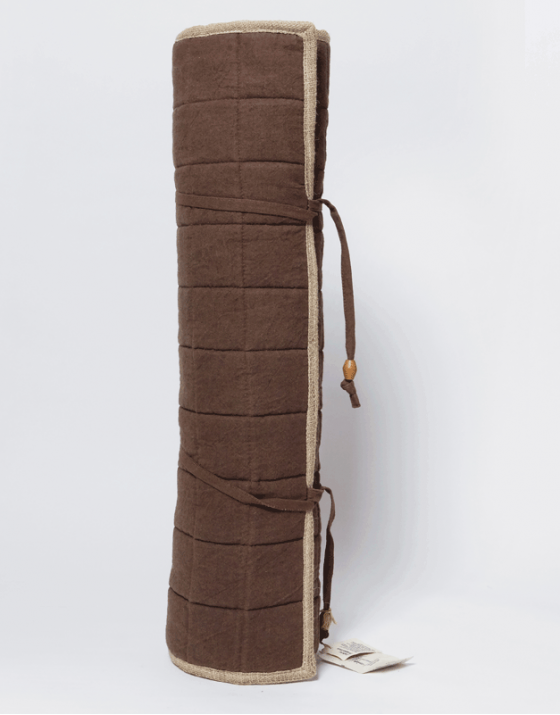 Wild Hemp Yoga Mats are made to the highest quality using the strongest and most beautiful natural materials, combine wild hemp-cotton canvas with pure wild nettle fabric (for the trim) to create these beautiful eco-friendly mats. Hemp canvas is incredibly hard wearing. 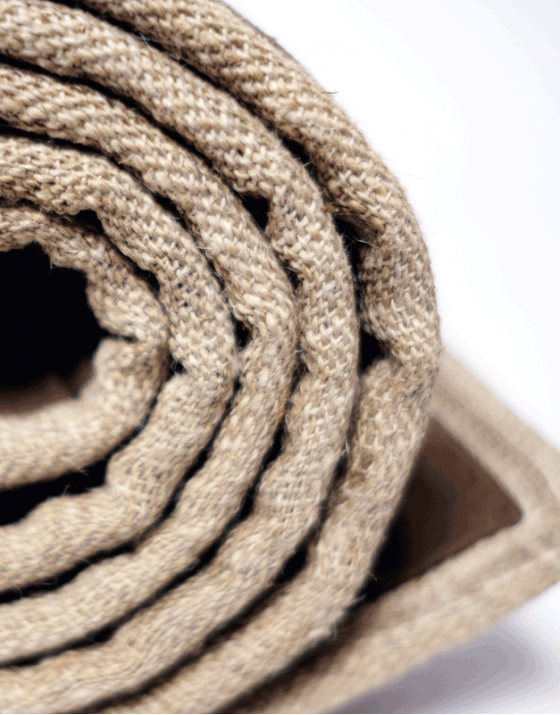 For these mats, we've used a hemp-cotton mix to create a soft-to-the-touch, grippy surface designed specifically for yoga and pilates practice. No bleach or other chemical treatments or dyes are used in the production process. 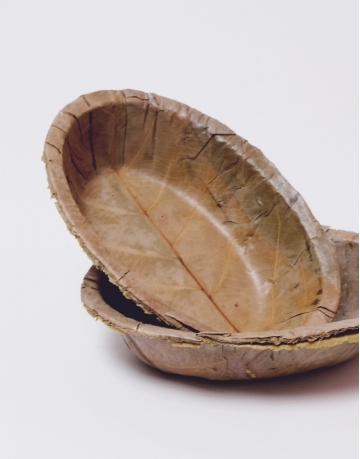 The fibres are hand-harvested, washed in pure Himalayan water and hand-spun, weaved and stitched. All this means that they look and (most importantly) feel amazing. They even smell good too! 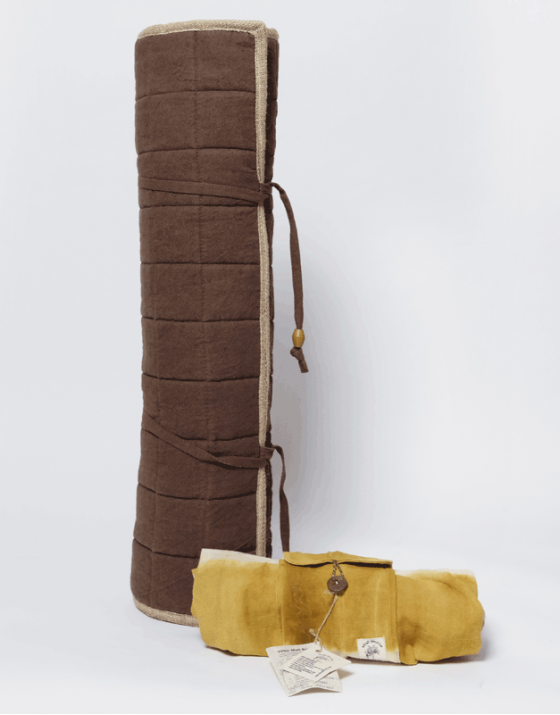 MATERIALS: Wild Hemp/Organic Cotton (55:45%), All-Natural Padding and Wild Nettle fabric. With latex/rubber mats, your hands and feet stick fast which can lead to poor asana development as you just "sink" into position, relying hugely on the mats stickiness. With our yoga mat, your practice benefits from proper asana development; with the balance of grip and softness, which encourages you to "pull in" your hands and feet *just* a bit. This makes the correct muscles work for each asana, which can feel unfamiliar initially, but is hugely beneficial in the longer term. These mats are similar to those used by yogis in the old days of yoga and their authenticity shines through, both in their appearance and functionality. Because the canvas is not latex/rubber based, sweaty hands and feet grip the mat just as well as dry ones do. We use a 100% natural, semi-firm padding, which is the result of extensive research and testing. 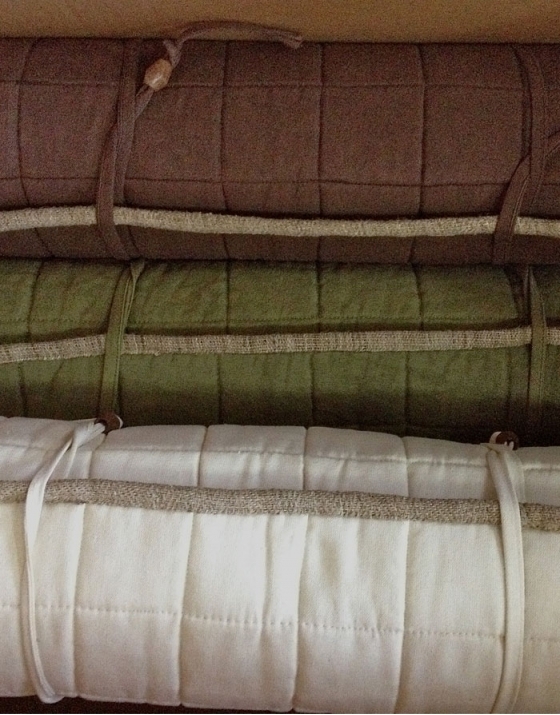 Using different materials and thicknesses we believe we have found the perfect balance between comfort and firmness. Thickness of approximately 7-8mm offer fantastic grip on both sides. These mats offer a great alternative to rubber-based yoga mats which can often feel sweaty or have an unpleasant smell (even top-end "eco" mats) – especially when you get up close to it during your practice. Khali Khutta work with a small group of Nepali handcrafters and local communities harvesting wild fibres to bring you these yoga accessories. We support rural livelihoods and cottage industries in Nepal by providing a wider market for their produce to help continue traditional skills and indigenous knowledge. 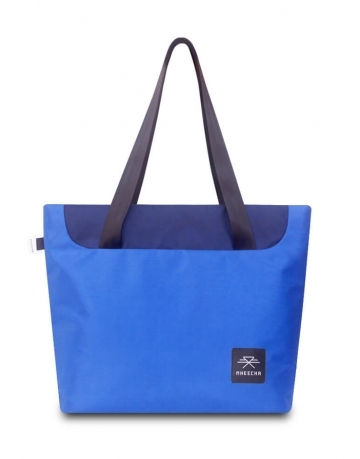 By buying this item you are helping to support rural farmers in Nepal. We do not mass-produce any of our range, but operate a batch process system. This means that all our items are made with that bit more care and love - and you can see that in the finished item!